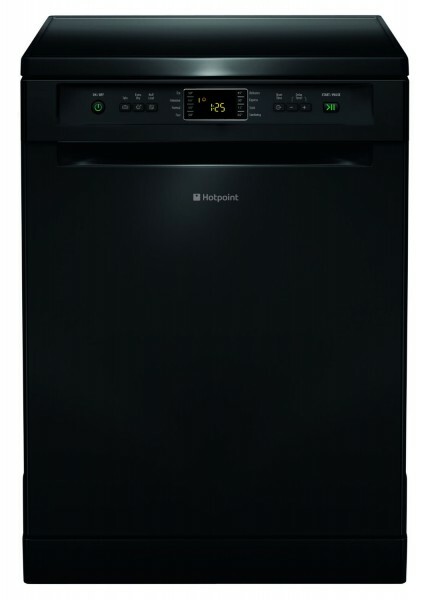 The Hotpoint FDFEX 11011 K Freestanding Dishwasher comes in a modern black finish and features a large Digital Display that clearly shows setting and cycle details. WLoad up to 13 place settings with the help from the adjustable upper rack with tip-up compartments, this appliance offers great space and flexibility. There are 8 wash programmes to choose from, including Delicates, Intensive and even a Sanitising programme ideal for getting those baby bottles really clean. Special features include an Extra Drying option, using higher temperatures and a longer drying time to ensure no moisture remains, and a Half Load option, to ensure no unnecessary water or power is wasted on smaller loads. There is also a specific Eco wash programme which, combined with an A+ Energy Rating, ensures that you're getting great results at a lower cost to the planet and yourself!